Senate Approves Murphy’s Helping Families in Mental Health Crisis Act Should Now Become Law! (12-7-16) Rep. Tim Murphy’s Helping Families in Mental Health Crisis Act passed 94-5 this afternoon in the U.S. Senate clearing the way for it to be signed into law by President Obama before he leaves office. Murphy’s mental health reforms, along with Sen. John Cornyn’s (R.Tx.) Mental Health and Safe Communities Act, were tucked into the 21st Century Cures Act, a $6.3 billion health care bill that critics called a boondoggle for the pharmaceutical industry, which spent millions lobbying for its passage, but supporters insist will cut bureaucratic red tape that prevents life-saving medicines from reaching markets quickly. Because the Act contains two pet projects of both Obama and Vice President Joe Biden, the Cures Act is expected to be signed quickly. From the start, Murphy focused on concerns raised by parents and family members about barriers they face trying to help loved ones get help, including what they consider overly restrictive civil rights protections. Cornyn’s bill was primarily aimed at funding successful criminal justice programs, such as Crisis Intervention Team training for law enforcement, mental health courts, and jail re-entry programs. Both Murphy and Cornyn are strong advocates of increased use of Assisted Outpatient Treatment, which has been strongly opposed by many groups that represent individuals with mental illnesses and disabilities. Murphy’s bill met strong opposition from the start from Democrats and eventually underwent numerous revisions to make it more palatable. When the House passed Murphy’s bill last week, I published a blog that compared some of Murphy’s initial language with what now is in the Cures Act. In addition to posting Murphy’s release here, I am adding a review of the bill that is being circulated by a consumer group whose members opposed Murphy’s bill. I felt it would be helpful to see how critics of the bill now see it and the revisions that they helped add to make it more acceptable to them. Obviously I will be writing more about this bill in later blogs, but I wanted to get news of its passage out ASAP. Washington, D.C. – Today, the U.S. Senate passed Congressman Tim Murphy’s (PA-18) Helping Families in Mental Health Crisis Act, included in the 21st Century Cures healthcare reform package. The bill passed 94-5, and now heads to the President’s desk to be signed into law. “This historic vote is one of the rare moments in Congress where members can say with confidence their vote to pass these reforms will indeed save lives. We are ending the era of stigma surrounding mental illness and focusing on delivering treatment before tragedy. By bringing research, treatments and cures into the 21st Century, we are finally breaking down the wall between physical health and mental health. “As we approach the anniversary of Sandy Hook, I’m deeply moved that the House and Senate voted to include the Helping Families in Mental Health Crisis Act in the 21st Century Cures bill because it was this very tragedy that motivated my relentless effort to fix the patchwork of antiquated programs and ineffective policies to get care to those in psychiatric crisis. “Many doubted we would make it this far, but here we are… and we’re still not done. I will continue advancing reforms so none remain in the shadows because we’ve set our eyes on one goal: to fix our nation’s broken mental health system so it works for all. “We traveled to every corner of this nation, listening to doctors, psychologists and psychiatrists, experts and advocates, and most importantly patients, consumers and their families. “Through congressional hearings and an in-depth investigation, we discovered the abhorrent, and at times fatal, disconnect between 112 federal agencies who are assigned to treat the mentally ill. We exposed a $130 billion dollar investment in a system that has done little but watch the rates of homelessness, incarceration, suicide and drug overdose deaths soar. We came together, across party lines, and went to work. Today, we have passed legislation that will save lives. “A special note of thanks to Chairman Fred Upton for his steadfast leadership on Energy and Commerce and dedication to seeing H.R. 2646, the Helping Families in Mental Health Crisis Act move forward, and for his tremendous medical innovation bill, the 21st Century Cures Act. “I’m deeply grateful to Texas Congresswoman Eddie Bernice Johnson, who teamed up with me on our original bill. Her conviction and determination, and applying her experience as a psychiatric nurse, proved instrumental in championing the cause that someone in crisis should get treatment in a hospital and not locked up in a jail cell. It is largely due to her efforts that we made it to the finish line. “Without the commitment from House Speaker Paul Ryan we wouldn’t be here today. In his first days as Speaker of the House, he pledged his support for the Helping Families in Mental Health Crisis Act. It was his leadership and determination that kept us moving forward to ensure the House would take action on the way we treat the mentally ill in this nation. “To all of my colleagues in Congress who spoke up, stepped up, and teamed up with our efforts to end the mental health crisis in America: Thank you. For a full list of the provisions included in the final bill, click here. A review of the bill by the New York Association of Psychiatric Rehabilitation Services, Inc., whose members opposed Murphy’s legislation. The post Senate Approves Murphy’s Helping Families in Mental Health Crisis Act Should Now Become Law! appeared first on Pete Earley. The post Murphy’s Family Mental Health Bill Approved: Next Step Senate then White House appeared first on Pete Earley. (7-28-16) Rep. Tim Murphy’s Helping Families in Mental Health Crisis Act was passed by a 422-2 vote in the House earlier this year, but it’s now treading water and the prospect of it being signed into law this session is fleeting. The trouble has nothing to do with the contents of Murphy’s much altered bill. As first reported by Peter Sullivan in The Hill, this time around the fight is in the Senate and it is about guns. He told members of the Committee on Health, Education, Labor, and Pensions that he wanted to blend his bill, SR 2002 – the Mental Health and Safe Communities Act of 2015 –– with Sen. Murphy’s and Cassidy’s SR 1945 legislation. I testified at a U.S. Senate Judiciary hearing Cornyn held about his bill because I support his call for reauthorization of the Mentally Ill Offender Treatment and Crime Reduction Act (known in Washington DC parlance as MIOTCRA). That act calls for funding of crisis intervention team training in local law enforcement and the creation of mental health courts. It also supports prison and jail-based transitional services and reentry programs for persons with mental illnesses when they are released from incarceration. Those provisions have wide bi-partisan support, but there are two parts of Cornyn’s bill that don’t and that is where the problem has arisen. His bill supports greater implementation of Forensic Assertive Community Treatment or AOT, which always draws an immediate attack from anti-AOT groups. The bigger issue, however, is a provision in Cornyn’s bill that would change the rules about gun ownership by individuals with mental illnesses. At lunch in the U.S. Capitol, Cornyn told me that the language in his bill is intended to help veterans who are denied gun ownership arbitrarily. There are a lot of Texans who are veterans and many of them like to hunt and own guns, he explained. This gets a bit complicated, but here is the gist of his argument. Under current regulations, the Veterans Administration can step in when a veteran has been diagnosed with a mental illness and appoint a “representative payee” to handle that veteran’s benefits. When that happens, that veteran’s name is automatically added to the National Instant Criminal Background Check System (NICS) as a “prohibited person due to mental health issues,” which means that individual can’t purchase a gun. The VA often is inconsistent and arbitrary when it comes to appointing “representative payees,” Cornyn claims. Most people with mental illness will never be dangerous and research shows that people with serious mental illness are more likely to be victims, rather than perpetrators, of violence. However, there are certain factors based on behavior, not diagnosis, which increase a person’s risk of future violence. One of those factors is involuntary hospitalization based on risk of harm to self or others, which is why federal law prohibits those who have been involuntary committed to a psychiatric institution from purchasing of possessing firearms until a court restores their rights. For some inexplicable reason (or maybe as a favor to the NRA), S.2002 would change federal law by creating a disqualification that lasts only as long as a commitment order is in effect, which is typically a matter of days. This could be disastrous because research shows that the period immediately following a discharge from an inpatient facility is the time of most concern for many patients who are going back to the outside world where all the same stressors (including drugs and alcohol) are still there. Additionally, Cornyn’s bill would immediately remove those who are so mentally impaired that they have a court appointed guardians to manage their financial affairs from the National Instant Background Check System (NICS). Currently, federal law prohibits those who have been adjudicated as “mental defectives” (I admit, this derogatory term needs to be changed) from purchasing or owning firearms. S.2002 would narrow this category of persons significantly so that financial incapacity would no longer qualify as a firearm prohibition. While some might argue the financial incapacity disqualification is too broad, in this setting, where a state court judge with full due process has ruled, we should not offer across the board restoration without ensuring that individuals who pose a risk to self and/or others remain prohibited. The answer to out-of-control gun violence in our society is not to give thousands of individuals who are at potential risk for future violence immediate access to guns. Which brings us to the bottleneck in the Senate. Writing in The Hill, reporter Peter Sullivan reported that Sen. Murphy immediately balked when he learned Cornyn was hoping “to attach gun-related language…that would require a full judicial hearing to ban someone from buying guns due to mental illness” into his and Cassidy’s bill. 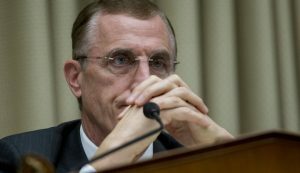 The result is that Rep. Tim Murphy finds himself stuck in the House in a canoe without paddle. Until the Senate passes the Murphy and Cassidy bill, the House bill is stymied. Democrats warn that any gun language could derail the mental health bill, and they’ve won some support from GOP colleagues. He said that (Chris) Murphy has been “eloquent” on the need to keep the issues separate and keep gun control amendments off the bill. A lack of time is also an obstacle. The Senate will be in full election mode when it returns for one month in September, and will be preoccupied with passing a continuing resolution to fund the government. If any floor time does open up in that month-long window before Congress breaks for the election, it could go to a different health bill, the 21st Century Cures Act, which seeks to speed up the approval of new drugs. Alexander has made clear that this legislation, which faces its own struggles, is his top priority. If the mental health bill cannot pass the Senate before the election, there would be little time to get it through this Congress. This has to frustrate Rep. Tim Murphy who has been relentlessly pushing mental health reform ever since the Newtown shootings in 2012, as well as supporters of his bill. The post Murphy’s Mental Health Bill Stymied Again, This Time Because Of Dust Up About Guns appeared first on Pete Earley. Without adequate funds, group homes for people with mental health and developmental disabilities are at risk of closure. Hundreds of people with developmental and mental health disabilities around North Carolina are faced with losing their homes – again – as state funding to support them is running out. The people at risk are those who live in group homes with six or fewer residents who have part of their living expenses paid for by state dollars. They’re people who lost Medicaid-funded personal care services in 2012 when the General Assembly tightened guidelines on who could receive those dollars. Group home residents and their advocates at a rally for funding in front of the Legislature in 2013. They may need to return this spring as funds that support the homes runs out. Photo credit: Rose Hoban. And they’re people who faced a similar crisis in 2013 when lawmakers failed to create a long-term solution to care for residents who can’t get Medicaid dollars but still need help. Instead, the legislature created “bridge” funding to tide the group homes over temporarily. Now that bridge funding is drying up, with little hope for more dollars to flow. Donnell said she was scrambling to resubmit invoices totaling about $5,500 for several months of services that had been previously denied because of lack of funds. “It’s like Groundhog Day,” said Julia Adams, the governmental affairs liaison for The Arc of North Carolina, which provides services and support for people with developmental and intellectual disabilities. “We’re right back to where we were at the beginning of the 2013 budget cycle. That year, the General Assembly allocated $2 million to tide the group homes over for the year, but administrative red tape led to a delay of close to four months before the money was released to providers. That meant lawmakers didn’t have a solid handle on how much money the group homes would need for an entire year. In the 2014 budget, lawmakers again allocated $2 million and released the funds at the start of the fiscal year on July 1. Now that money is exhausted, about four months before the end of the fiscal year. Dave Richard, DHHS’ assistant secretary for mental health, developmental disabilities and substance abuse services, said he’s aware of the issue. He’s been aware of it since his days as Adams’ boss at The Arc, prior to entering state government. For years, in order to receive Medicaid “personal care services” and remain in their own homes, people with mental health disabilities were required to need assistance with two or more so-called activities of daily living – such as bathing, dressing, toileting or eating. But if that same person lived in an institution, like a group home, they were only required to need assistance with one activity in order for Medicaid to pay for the help. 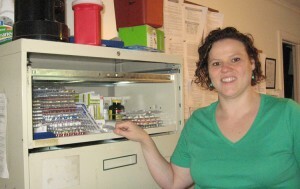 For many living in group homes, that essential activity was help managing their many medications. The federal Centers for Medicare and Medicaid Services warned North Carolina repeatedly that this “institutional bias” was illegal under the 1992 Americans with Disabilities Act. CMS pressed the state to resolve the problem, but meanwhile kept paying the bills. But in 2011, CMS finally ran out of patience. The agency told North Carolina to resolve the problem. When the legislature worked on this in 2012, the discussion centered around a possible “woodwork effect,” by which state officials estimated that thousands living in their own homes could become eligible for the entitlement if the level of assistance required remained at one activity of daily living. That could have cost the state tens of millions annually. Instead, in order to discourage a flood of new recipients and save state dollars, lawmakers fixed the issue by requiring everyone, no matter where they lived, to have greater needs in order to get reimbursed for the help. The legislature also disqualified payment for medication management. Since 2013, group home residents, operators and their advocates have been waiting for a long-term funding solution from the General Assembly. Richard has convened a workgroup of providers, advocates and state officials to address the issues. He’s required to get a report to the General Assembly by April 1. Richard noted that not all of the state’s mental health managed care organizations are out of money for group homes. In part, it’s a problem of population distribution, he said. Some MCOs have more group homes in their regions than others, and thus spent their allocations more quickly. “We’re surprised about how fast some of the [managed care organizations] had gone through the money,” he said. But Richard didn’t hold out much hope for additional funding for the rest of the fiscal year. “Whatever recommendations come out of this workgroup, nothing is an immediate fix,” he said. When pressed about legislative moves, or even an executive order, that might free up money to solve the problem, Richard was pessimistic. “I don’t have a magic wand,” he said. Perhaps, he said, some MCOs have money they can allocate to the problem, but they’re limited in how much they can move from one program to another. And with the current budget year winding down, there aren’t a lot of unallocated state dollars remaining. “There maybe are small things to do that can relieve pressure,” Richard said. Service providers say their frustration is that they’ve been in this position before and feel like the state’s uncertain funding stream leaves them lurching from crisis to crisis, with policymakers slow to find a permanent resolution. They say they’re stretching their dollars where they can, but several said they’re at a breaking point. Gadd bemoaned the lack of stimulating activities for her residents; for example, trips to museums, drives, time at the YMCA. “Those things have gotten whittled away at until you never go on a drive to Jordan Lake because you can’t afford the gas,” she said. Gadd also noted that salaries haven’t increased in years, even for staff who have a lot of experience. Money to pay for residents’ care comes from their own monthly Social Security disability payments, plus some from county dollars. State dollars make up the rest, to a maximum of $1,238 per resident per month. Donnell explained that when her six beds are filled, she receives a total of $89,856 to feed and house her clients in each facility. Of that money, she is required to employ an administrator, for which she pays around $40,000 per year, and provide round-the-clock staffing, for which she pays about $8 an hour. All told, it comes to just over $90,000 per year to staff each of the facilities, not to mention food, insurance, utilities and other costs of keeping the places going. One year, Donnell said, she paid herself the equivalent of $1.25 an hour. “It has been a real roller coaster ride,” Donnell said. 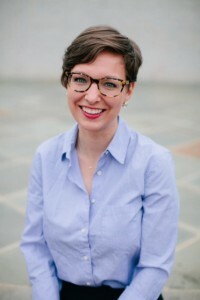 The National Alliance on Mental Illness North Carolina (NAMI NC) has hired Nicholle Karim, MSW, LCSW, into the role of public policy specialist. This new role was created to increase NAMI NC’s voice by working with our 34 affiliates to increase grassroots advocacy regarding public policies necessary to improve the quality of life for all those affected by mental illness. Karim will work to fulfill our mission through training and education of our grassroots advocates, through advocacy around funding and policy issues, state legislation, as well as through rules and regulations. • The Department is tasked with achieving $12 M in savings with mental health medications, 6 M to be achieved through prior authorization of mental health drugs. There are a series of things they can try, with escalating effects. • There is an overall cut ($1.8 M) to LME/MCOs general operating fund of 5.6% with the intention of the LME/MCOs consolidating to 7 LME/MCOs by June 30, 2015. • There will be changes to those receiving Special Assistance (SA), with the impact of a cut across the state of a $337,000. We are still analyzing what this means, but we know they backed off of eliminating the Medicaid eligibility that comes with qualification for receipt of SA. 1. To request a letter from the Commissioners to our State Legislators and GOV McCrory supporting the position of those educated in and/or having a loved one with a mental illness to NOT support the bill requiring ALL medications for mental health issues require pre-authorization and the reasoning behind rejecting this budget cut proposal. 2. To propose the humane way of treating individuals with a mental illness and describe how they are currently picked up by police and incarcerated. The reasoning behind why they should go to the hospital in lieu of jail – those that have Alzheimer’s and are aggressive are taken directly to Moore Regional Hospital and NOT to the jail. 3. To propose that Moore Country Government provides limited financial support to a program under consideration by Moore County Presbyterians Churches to develop and operate a “club like” program for those with a mental illness. 4. To ask the Moore County Commissioners to consider a one-time only cancellation of yard waste dumping fees at the local dump for LLF so that the adjoining property can be cleared at LLF expense without the normally charged yard waste fee by truck load. This property will be used for a Disc Golf Park and open to anyone in the community but monitored by LLF and the Village of Pinehurst. 5. To propose that non-profit organizations wishing to hold peaceful rallies on the grounds of the Moore County Courthouse (without entry to the building or use of the restrooms, etc.) not be required to pay a $50.00 non-refundable fee upfront for the use of the sidewalk. The $200.00 refundable deposit is understandable but a fee to use taxpayer sidewalks is not. Anyone interested in any of these issues and are supportive of these positions, please come and support an attempt to inform our local officials about the issues of mental illness. Remember – there is power in numbers versus that of the “Lone Ranger”! 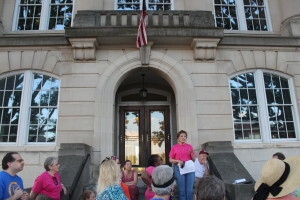 The Linden Lodge Foundation held a candlelight vigil at the old historic courthouse in Carthage Friday evening to raise awareness for potential state budget cuts to group home programs for people with mental illnesses. 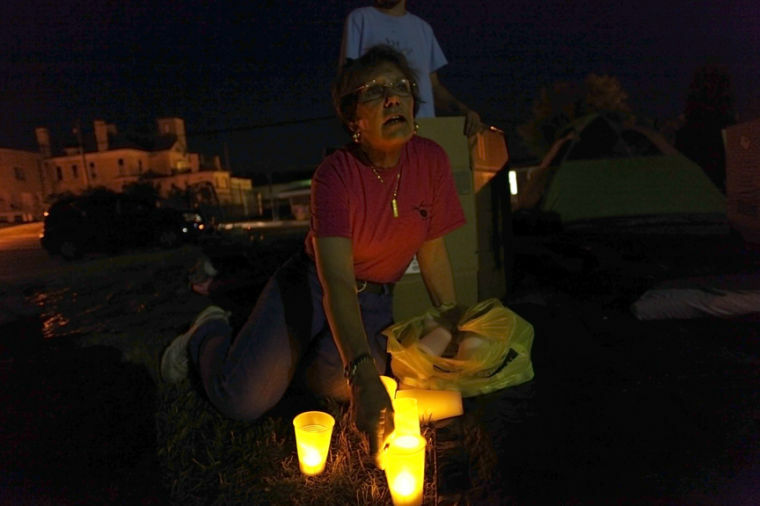 After the vigil, participants walked over to First Presbyterian Church, where they spent the night to symbolize the thousands of people with mental illness who would be homeless if funding is cut. 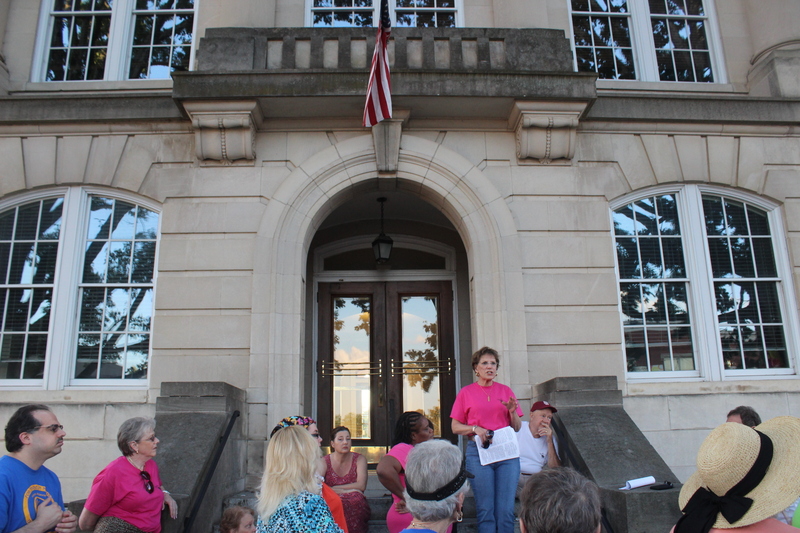 About 45 people gathered around the old historic courthouse in Carthage Friday night to raise awareness of possible statewide budget cuts to homes that provide care for patients with mental health problems. Moore County’s National Alliance on Mental Illness (NAMI), and the Linden Lodge Foundation hosted the event, which included a candlelight vigil, and a camp-out demonstration at the First Presbyterian Church in Carthage. Marianne Kernan, chairman of the Linden Lodge Foundation and the privately owned group home in Pinehurst, organized the event and was joined by the home’s staff, residents and supporters. 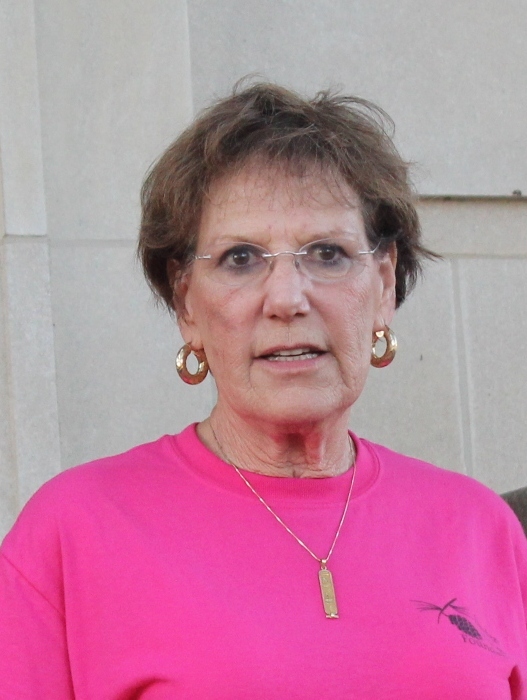 “People are unaware,” said Ann Akland, co-president of Wake County’s NAMI organization. “It really helps when you can start at the grassroots level.” Akland and her husband Jerry drove from Raleigh to participate in the vigil. They organized a protest in front of the North Carolina Legislative Building a couple of weeks ago, which about 100 people participated in. After a brief rally at the courthouse, the group walked over to the church for its sleep-in on the grounds. If the issue isn’t addressed by the General Assembly’s 2013 budget before June 30, group homes statewide will lose eligibility for some clients to receive Medicaid funding, meaning as many as 1’500 patients could become homeless. 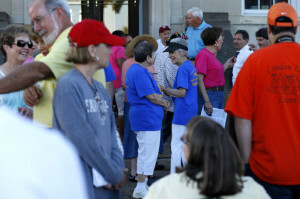 Group homes will receive Medicaid coverage based on the number of residents at the end of 2012. Group home residents as of Jan. 1, 2013 will not be accounted for in the funding. “They can’t pay their staff and that means they have to close. But if they stay open, they’re going to be understaffed,” Kernan said of the facilities. Advocates are concerned about housing options that combine the elderly in facilities with those who are suffering from mental illness. They would prefer the state fund separate housing for those with mental illness. The Rev. Fran Stark, associate pastor at the Chapel of the Pines in Seven Lakes, pointed out that many eligibility issues stem from the lack of exclusive housing options that individually cater to elderly patients and mental health patients. 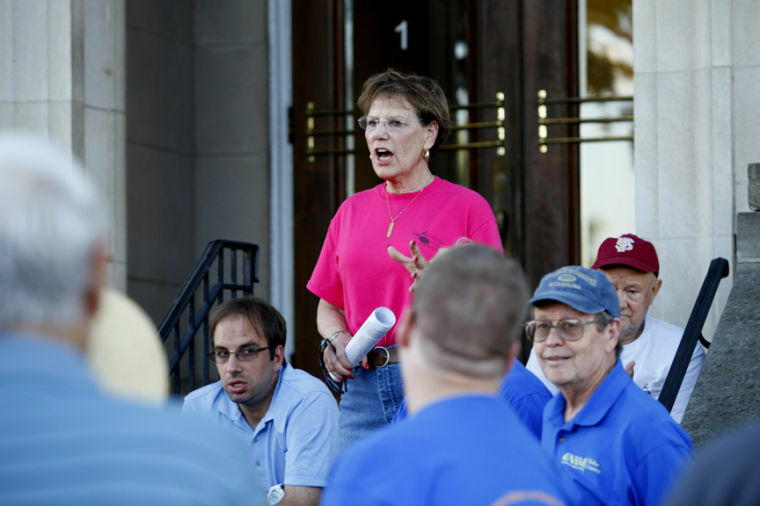 “It doesn’t always work well, because the staffing is there for the elderly,” Stark said. “It’s a difficult combination for the staff to work with effectively.” Kernan also said that mental illnesses “have nothing to do with age.” Linden Lodge houses patients as young as 22 years old. Advocates are concerned about housing options for those who are suffering from mental illness. The state House last week approved the new budget, and it now goes to the Senate for consideration. The Senate budget includes a pilot program that addresses group homes, but that program only addresses a handful of counties, according to other media reports. But mental health care supporters want more than a temporary solution. “You can’t use short-term solutions for a long-term problem,” said the Rev. Robert Whitehouse, pastor at McDonald’s Chapel in Pinehurst, and Program Director at Linden Lodge. “Without guidance, they can’t be at their best.” Imani Johnson, a clinical therapist and licensed social worker with Sierra’s Residential Services in Lillington, works with adolescent boys. “Do they (legislators) know what it feels like to be with a client one on one?” she asked. Johnson said that there’s a “disconnect,” or a “bridge” between those who are making policies and those affected by the policies. Kernan said that the state has plans to create housing for 300 mental illness patients over the next two years, and is considering building another facility on Dorothea Dix’ campus in Raleigh. Deby Dihoff, Executive Director of NAMI-NC, did a radio interview for NC Policy Watch, a progressive, nonprofit and non-partisan public policy organization. NC Policy Watch is an independent project of the NC Justice Center, North Carolina’s leading private, nonprofit anti-poverty organization. 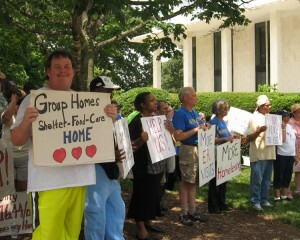 WRAL News anchor David Crabtree goes ‘On the Record’ about a looming crisis for people in North Carolina’s group homes. If the government doesn’t step in, thousands of state group home residents could be out on the street by January. Guests are Rep. Nelson Dollar, Co-Chair of the Blue Ribbon Commission on Trainsitions to Community Housing and Ann Akland, Past President and Advocacy Chair, NAMI Wake County. The show includes a video response from the Governor. Please read the “Heard in the Halls” message below to read what is being considered in our State. I cannot believe what the NC legislature is proposing when it comes to medications to treat mental illness – try the cheapest one and if that DOESN’T WORK, then we will consider allowing you a psychotropic drug that you may have been on that you knew worked. Help…..we can’t allow this to happen! It is just plain wrong and inhumane to make individuals with a brain illness suffer needlessly and put themselves and others in harm’s way due to a foolish cost savings measure. Too many individuals have already been through the trials and tribulations of being on a variety of medications until they came across the one(s) that worked………we just can’t ask them to go through this pain again. I am asking you to write and/or call Governor McCrory and the legislators for our district, and Dr. Wos, the NC Secretary of DHHS and let them know how wrong this is. If you are a doctor or mental health provider, I would ask that you tell the staffer that and let them know the impact this measure could have. If you are in the media, I would ask that you either print a column, article, or air it on your show to let the public know that once again those with a mental illness are being given second class treatment. Please help!!! North Carolina has an exemption from requiring people on Medicaid to go through an authorization process to get the drugs that they need to treat their mental illness. This may change!! The state is trying to limit overall drug expenditures. This may mean just saying no to a drug that works for you or your loved one. It may mean failing first on a cheaper drug before you can get back on a drug that has worked. It is hard on the doctors who must complete much more elaborate paperwork, it is hard on those living with a mental illness, and it is hard on their families. We need to work to continue protecting these vital medications; we need to continue the exemption. Do not balance the budget on the backs of those with mental illness. We must preserve the Doctor-Patient decision making authority; drugs work differently on everybody. Don’t limit the number of products available, as you may not have access to the one that works for you. Studies show that this idea for balancing the budget doesn’t work well. In Maine, they found a 6% greater likelihood of a gap in medication occurring from prior authorization, and an 18% greater risk of a person going 30 days or more without medication when they made this policy change. There are better ways to be smart about money but not endanger those with mental illness. There is the A+ Kids program, and a similar one for adults which works on safety monitoring of antipsychotics prescriptions that may not be consistent with FDA requirements. We need more focus on these educational programs to help doctors get the dosage and match of medication right. Much money can be saved with this approach without imposing prior authorization requirements. In short- this approach will balance the budget at the expense of people with mental illness, making it harder to get well and stay well. We know from other states who have gone this way that it may in the short run save money, but it will end up costing more when adverse events occur: people landing in the emergency room, in hospital beds, even in homeless shelters, jails, and prisons. It costs our society much, much more than keeping people on the medications that keep them well. 3. If you are involved in CIT in your community, get your stakeholders to write a letter opposing the removal of the exemption. Click here to see a sample letter. Except for families and those living with mental illness, no one knows better than law enforcement the effect that this will have in disrupting the lives of those who need these medications. Ask law enforcement or your local hospital administrator to send a letter or make a call. We expect to see a budget in the Senate next week so it is vital that you TAKE ACTION. Let’s overwhelm them with calls and emails. This is IMPORTANT. Make the call! Below is the link to an article that appeared in the Charlotte Observer on 30 June. In the photograph is Deby Dihoff, the Executive Director of NAMI-North Carolina, addressing the crowd – please note that the 2 individuals in the forefront are NAMI-Moore County individuals from Linden Lodge (Emily Loew and Chris Picard). 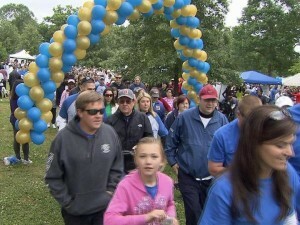 We had 11 folks that we took up to represent ALL in Moore County with a brain illness. After reading this article, I hope you will do your part and take the Letter to Physicians below to your medical team (s) requesting their support – it matters not what their specialty is. Once again, if we do not put up a fight, it will be us receiving the short end of the stick and I cannot do it alone. Please get your medical/psychiatric provider to sign this letter and either mail it back to me or scan and E-mail. My intention is to gather together the ones that I have and present them to Representative Boles personally (after making copies of them, of course, lest they get lost before they get to the entire legislature). The letters that have been returned to me to date have NOT been from NAMI-MC members. Thank you in advance for your consideration in participating in this effort. 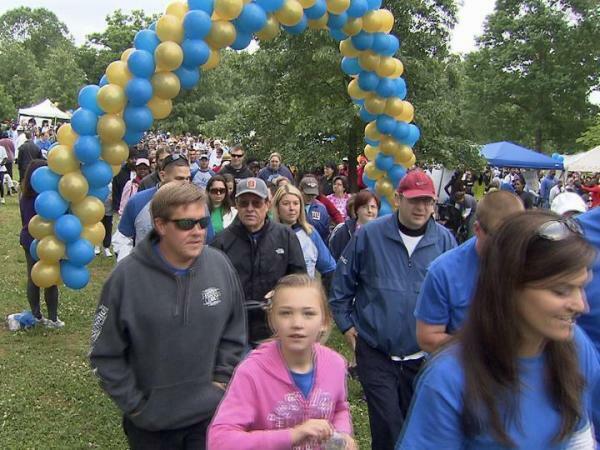 Trying to make sure the mentally ill in North Carolina receive the attention and support they need, more than 1,500 people gathered on the Dorothea Dix campus Saturday for an annual walk and fundraiser. Sponsored by the National Alliance on Mental Illness, Saturday’s walk was part of an effort to raise more than $150,000 for mental health services many families need, but can’t afford. Many in attendance cited recent mass shootings and spending cuts as two reasons the state and nation’s healthcare systems are at a crossroads. “Services are being cut. It’s harder to get services. You wait longer,” concerned mom Lisa Jennings said. NAMI helped Carpenter get on track with support groups and free education classes when her son was diagnosed with schizophrenia. Organizers of Saturday’s walk also pointed to ongoing discussions in the General Assembly about the City of Raleigh’s deal with the state to transform Dorothea Dix into an urban park and business center. The state Senate voted three weeks ago to pull back from a deal signed by Gov. Bev Perdue during the last days of her administration. The agreement, say Republican senators, gives the property too cheaply, starting at $500,000 per year. They also complained that Perdue, a Democrat, rushed through the deal at the last minute, ignoring calls to study the state’s options more thoroughly. 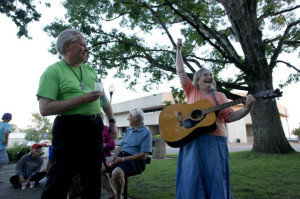 Backers of the park deal, including the Raleigh Mayor Nancy McFarlane, said the state should not go back on its word and note that a park has been the topic of discussion since the state began making moves to shut down the state mental hospital there a decade ago. NAMI believes that state should renegotiate the lease with the city for fair market value with a percentage of the proceeds directed to mental health. In the half century since, we’ve made tremendous progress as a country when it comes to attitudes about mental health. But recent events have reminded us that we still have a long way to go to bring mental health fully out of the shadows. We often fail to recognize the signs of mental illness, especially in young people. And when we do see those signs, our first reaction is often not to reach out, but to turn away. This is a culture we all contribute to. And it’s one that all of us — community leaders, teachers, pastors, health providers, parents, neighbors and friends — need to help change if we want to reduce the tragic burden of untreated mental health conditions. That’s why President Obama has called for a national dialogue on mental health that will be kicked off in the coming weeks. This dialogue will seek to address the culture of silence and negative perceptions of mental illness that keep so many of our nation’s young people from seeking care. It will challenge each of us to do our part to create communities where young people and their families understand how important mental health is to positive development and feel comfortable asking for help when they need it. We would ask that each of you watch the video of the rally in Raleigh organized by NAMI-Wake County regarding the dire group home situation that individuals find themselves facing. It will give you a better understanding of what those individuals residing in these homes are facing…….then read below what YOU can do to help correct the situation. One thing came across loud and clear – legislators (and the general public) do not correctly distinguish between IDD (Intellectual Developmental Disability/MR) and mental illness. Those diagnosed with a mental illness have taken the back seat when it comes to services and funding for years and it is worse now than ever. After thinking about it, I frankly feel we have no one to blame but ourselves for not getting out there and fighting for the rights, services, and NEEDS for those with a mental illness as the families of those with IDD have successfully done. If you agree with us and want to do something about it such as organizing a rally or letter writing campaign, please contact me via E-mail. It will take more than just a few to effect the needed changes. Just think if it was your loved one about to be put out on the streets!